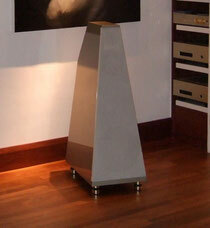 Musical Study The Inspiration System Resolution Series - FM ACOUSTICS LTD. Ultimate finesse and preservation of atmosphere was required so the music system could be integrated optimally into this attractive home study. Chosing amplification by FM ACOUSTICS in combination with an Inspiration System proved to be the perfect solution for this original application. The Inspiration Systems® are complete music reproduction systems including electronics, transducers and dedicated cables. Only the preamplifier and sources (turntable, CD, DVD, blue-Ray, tuner, DAT, etc.) have to be added. The most unique characteristic (for which the Inspiration Systems are justly famous) is their absolutely holographic reproduction of musical events which precisely delineates the acoustic characteristics of the venue in which the music was recorded. 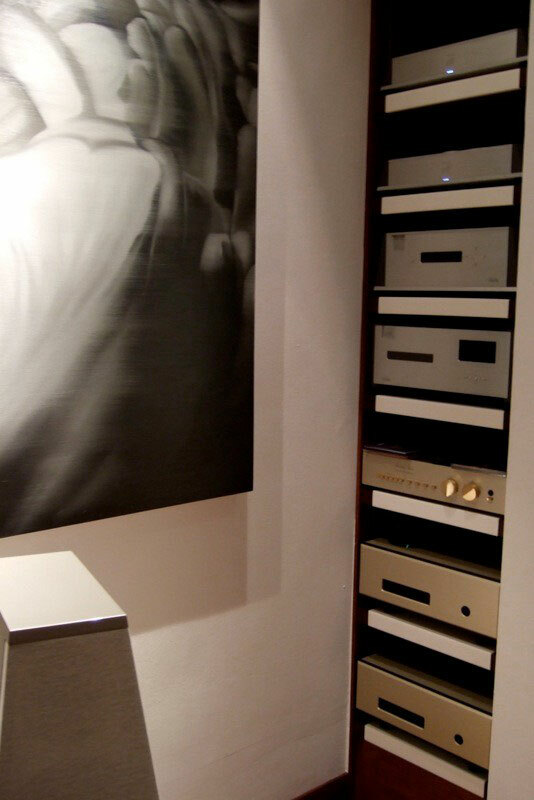 In this marvelous study room, a pair of Resolution Series two-channel power amplifiers are used to drive the Inspiration System which is operated in true bi-amplified mode: from the balanced FM ACOUSTICS preamplifier the signal is sent to the line-level crossover where low bass frequencies are separated from the rest of the frequency spectrum. The low frequencies are supplied to one channel of the Resolution Series stereo power amplifier and from there are directly connected to the bass driver. This way the amplifier can exert optimal control of the diaphragm allowing a very extended low frequency response that is totally free of bass "boom". There is none of the usual "one note bass" where bass is reproduced as if there was only one single overbearing note. The Inspiration System in contrary reproduces each bass note as a finely detailed, musical note with natural harmonics, another unique characteristic Inspiration Systems are famous for. All Inspiration Systems ® have the same design concept, parts and execution. They differ in size, max. sound pressure level and lowest reproducible frequency. They all are powered by a pair of FM ACOUSTICS Resolution Series® stereo (one stereo amplifier is used for the left side, one for the right side) or four Resolution Series single channel amplifiers. One amplifier channel supplies low frequency signals directly to the low frequency driver (absolutely no phase-changing components - as are required in the usual speaker designs - are used). This guarantees phase accuracy and ultimate control thanks to the Resolution Series® unique dynamic damping of the diaphragm. A second amplifier channel supplies all mid, upper-mid, high- and ultra-high frequency signals. The dedicated crossovers are unique. They are absolutely free of any overshoot and ringing and provide phase linearity while precisely optimizing the frequency bands for each individual driver. System-specific cables are included so that absolutely optimal signal transfer is guaranteed. - until the advent of the Inspiration Systems. One more of their unique characteristics is that - for the first time ever - an absolutely holographic image of the recording venue is achieved: the speakers become 'invisible' creating a totally "true to the original" reproduction. Three-dimensionality is exactly as in the original recording venue: close-miked studio recordings are correctly reproduced upfront with clarity, speed and harmonic accuracy. Recordings in concert halls are precisely reproduced with the original acoustics; the real reverb and reflection characteristics are represented perfectly. The Inspiration Systems can reproduce tremendous depth and/or width but only if the original recording contains these characteristics. Nothing is artificially added and nothing is taken away. The original presence and dynamics are kept. The Inspiration Systems® is what the "optimal monitoring system" should be: a precise reproducion of what is captured on the original recording. 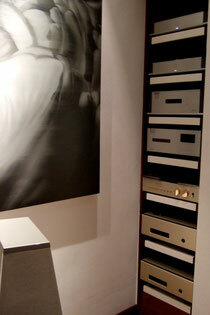 In this fabulous study all electronics are placed in a custom-designed rack discretely integrated in the room wall. All cabling is totally out of sight and even the single cable to the cabinet is integrated in the footwall. 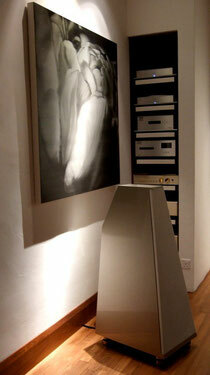 This leaves a super clean installation that reciprocates the unique music experience. The acoustical properties were not easy with little sound absorbing furniture and carpets (but a stunning exotic hardwood flooring). The Inspiration System XS-III proved to be unparalleled in getting this acoustically difficult study so that music can be enjoyed in a beautifully natural way.